Hello again... If you're looking for my card for The Sweet Stop, (Guess what? I love that Sketch!) well, you need to head downstairs. 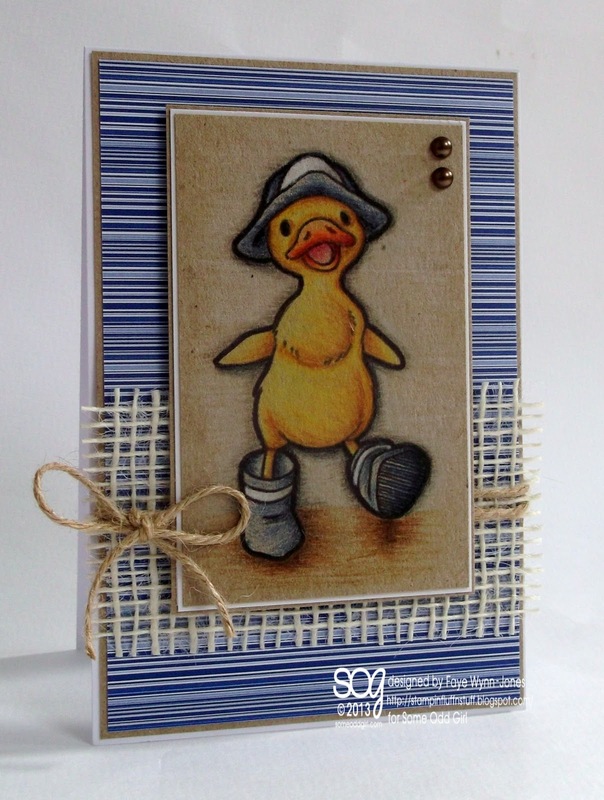 This little fella is Duck in Boots and he's from this week's Release at Some Odd Girl. I just had to, first, play with him and, second, share him, I think he's adorable. Aww, so cute and fab colouring. That is adorable, Faye, I love that simple layout! He is the sweetest, most adorable little duckling! Your coloring really brings him to life. Perfectly done! Cute little card, Faye. Love your pencil work. Awwwwww such a cutie and wonderful colouring. This is adorable, Faye! Fab coloring on Kraft! Cute, cute, cute! Great colouring... I keep looking at the shadows under his boots.. that's some awesome shading. Awwww such a lovely duckie with his boots....great colouring as always...enjoy your weekend! Beautiful card Faye, love the super cute image and design. He is fab! What a great card. Ha ha! 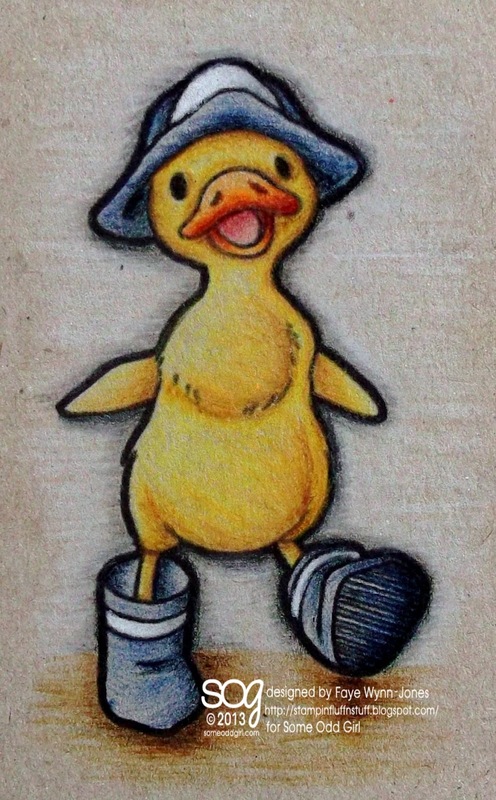 Duck in boots - just love it! An adorable card Faye. I love the use of pencils on Kraft but haven't tried it yet. So sweet! Love your fab colouring. I don't know how you manage all these projects girl - you are on fire! This is sweet as can be! Amazing coloring and a fabulous, clean layout. I like this card SO much! Fabulous Faye, your colouring is awesome! This little ducky is so cute! Beautiful colouring, he looks adorable in blue. OMGosh how adorable is he??? I love this Faye! Your colouring looks awesome too! I'd love it is you would join me at my new blog where I post almost every day now! Aw, soooo cute, totally adorable and beautifully coloured. All is revealed about Mrs A's antics tomorrow - I wore me dark glasses as a disguise most of the time while she was wrecking the place! And a great time was had by all!! 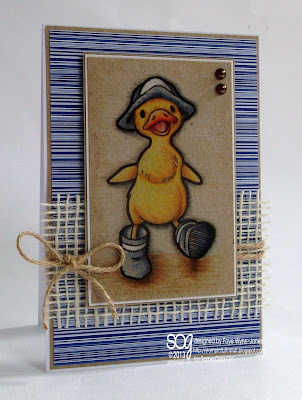 Loving this card - beautiful coloring Faye! This duckie is the cutest.